There aren’t many of churches in the Phoenix collection, but what there are are fairly interesting. 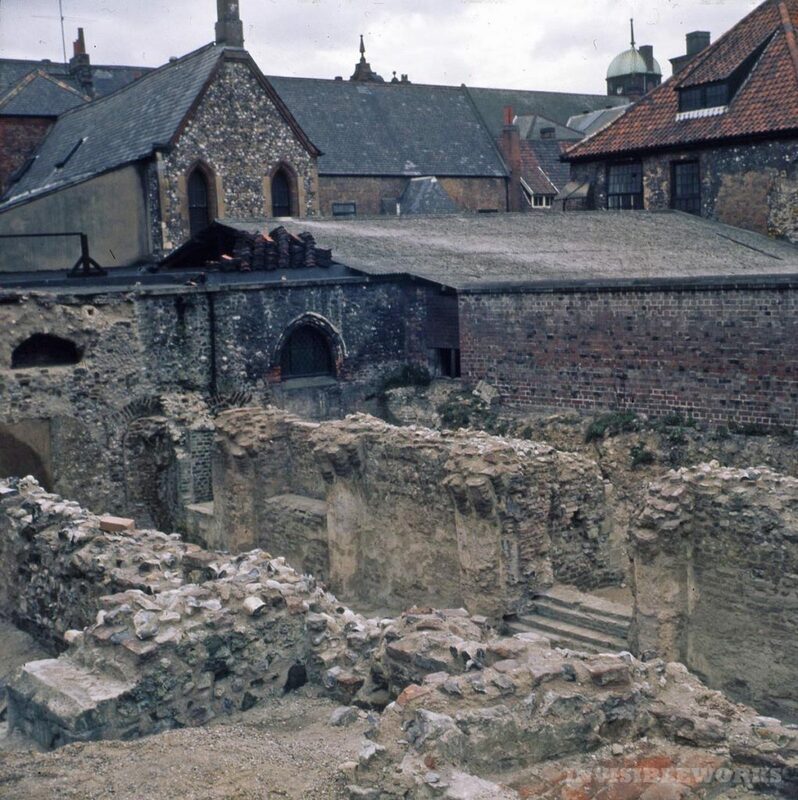 A selection and also some of the archaeological dig in near the Garth at Blackfriars and the Art College, Norwich. 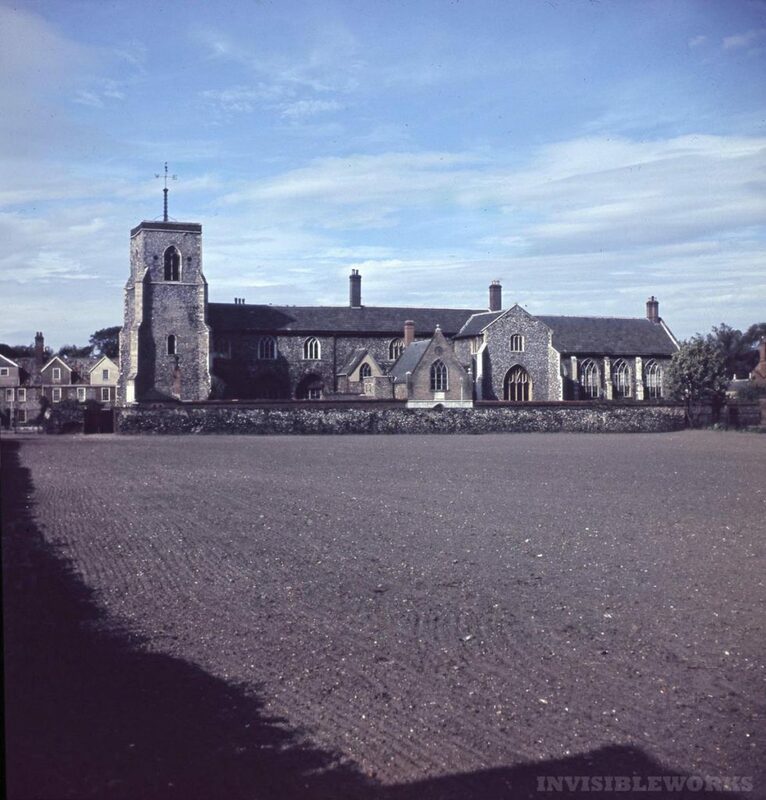 Not the original St Helen’s which was in the field this was shot across, demolished and rebuilt where it now stands. Under Lord Suffield it became part of the Hospital of St Giles and remains so today as the Great Hospital, only open on open days it features the Eagle Ward, a remarkable collection of ceiling bosses and an interior which has remained more or less untouched by the usual rehash jobs of the Victorians. You can read more detail of it here on Simon Knott’s website, and also on the Norwich Historic Churches Trust website. The field is I think part of the Norwich School fields, here it looks like it’s being seeded. 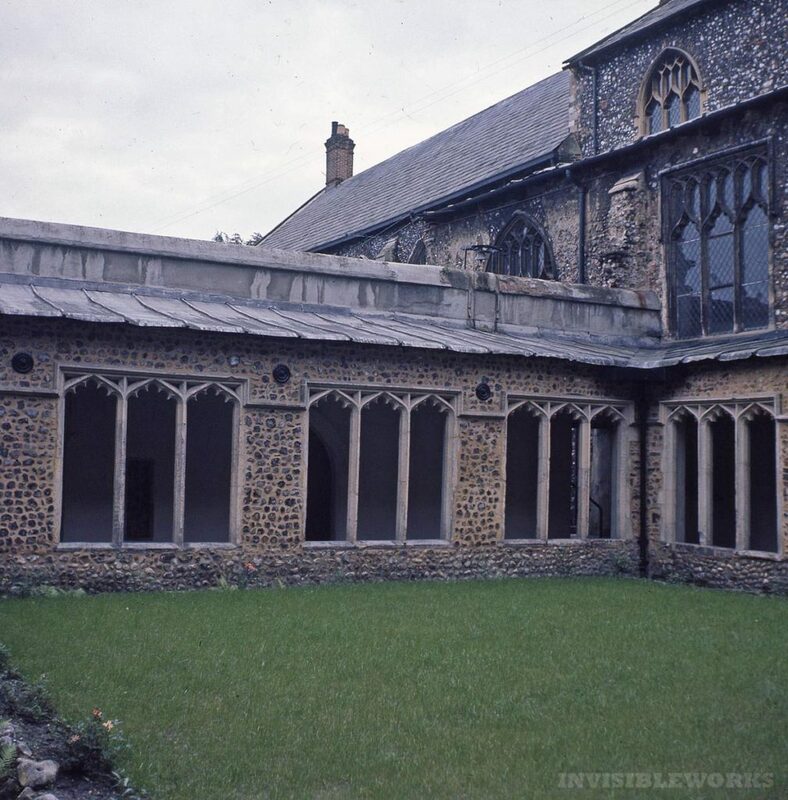 The cloisters of St Helen’s. St Peter Parmentergate is another Norwich Historic Churches Trust building. Redundant since 1981 it is in fact there headquarters. What is odder is it would have still been in use when this was taken despite the rubble field around it, which I assume is something to do with clearances of land to the south of the church. This is now an impossible view as far as I’m aware. probably shot from the site of Berney’s Inn, which stood here from the 12th to the 15th centuries superseded by a few rows of terraces. Parmentergate is an interesting name in itself, relating to leather in some circumstances or trimmers and tailors, but I’ll save that for another more Danish place-name etymology type day. St Leonards church, Thorpe Hamlet. 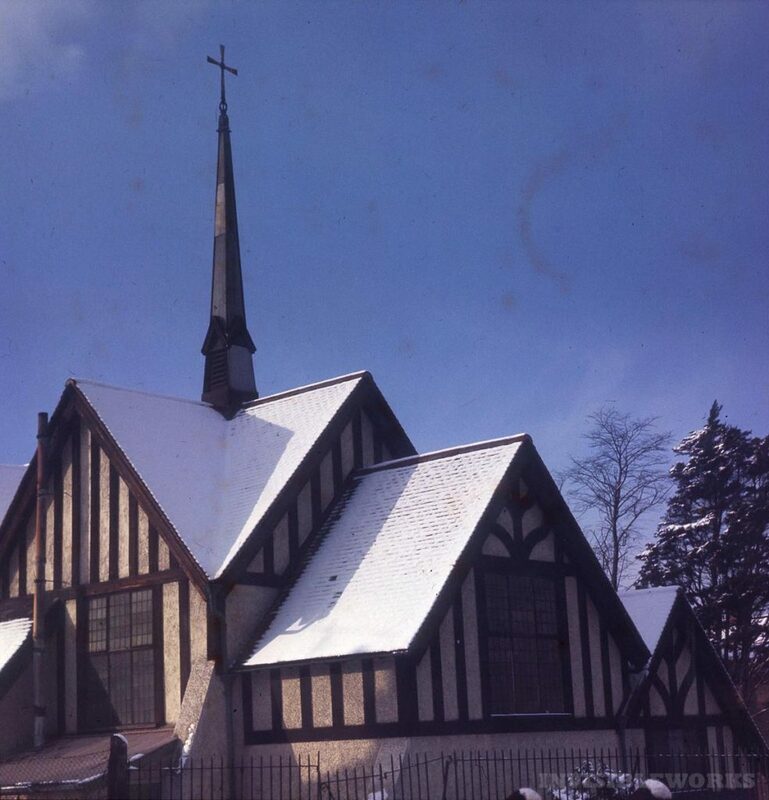 Built in 1907 and demolished in 1981, one of the many modern churches in the city. Built as an ease Chapel for St Matthew. North wall of the Becket Chapel (Previously dedicated to St Mary). These are uncannily similar to the George Plunkett. I mean, standing in the same place. We all do that as photographers unwittingly sometimes, and sometimes not. The Chapel was de-roofed and back-filled in the late nineteenth century, which now we’d perhaps find odd behaviour. The vestibule of the chapel is I believe the crypt in Blackfriars. If you go to the art school and use the Garth then you’re standing in a remarkable chunk of monastic history. I stood there in 1984 and smoked roll-ups indoors in a room full of turps as you did back then. the photo below shows the view down the chapel. I assume this was all back-filled and is still there. 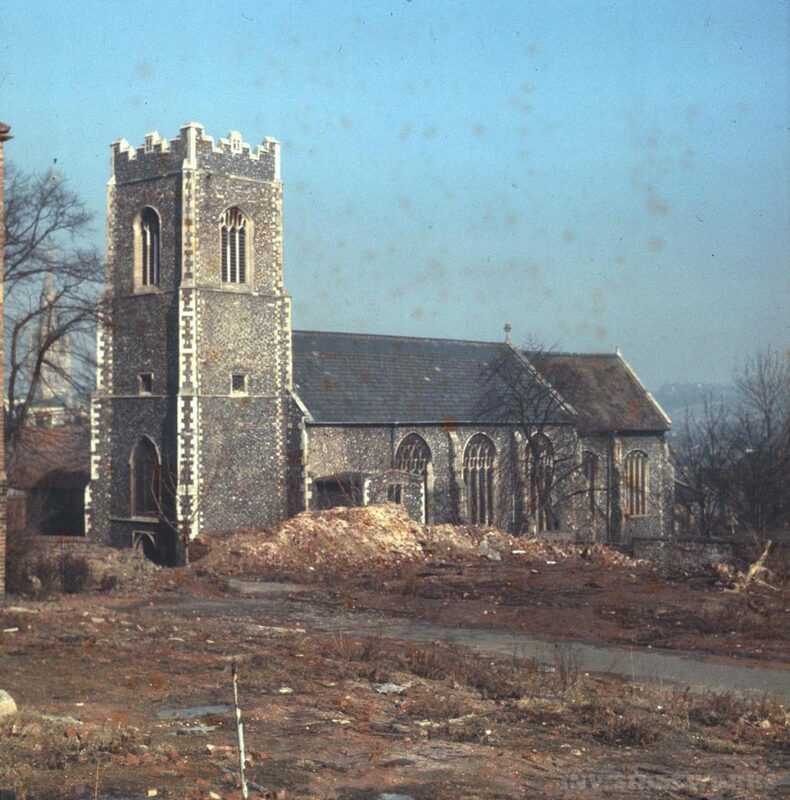 My house is now on the site of St Leonard’s Church. 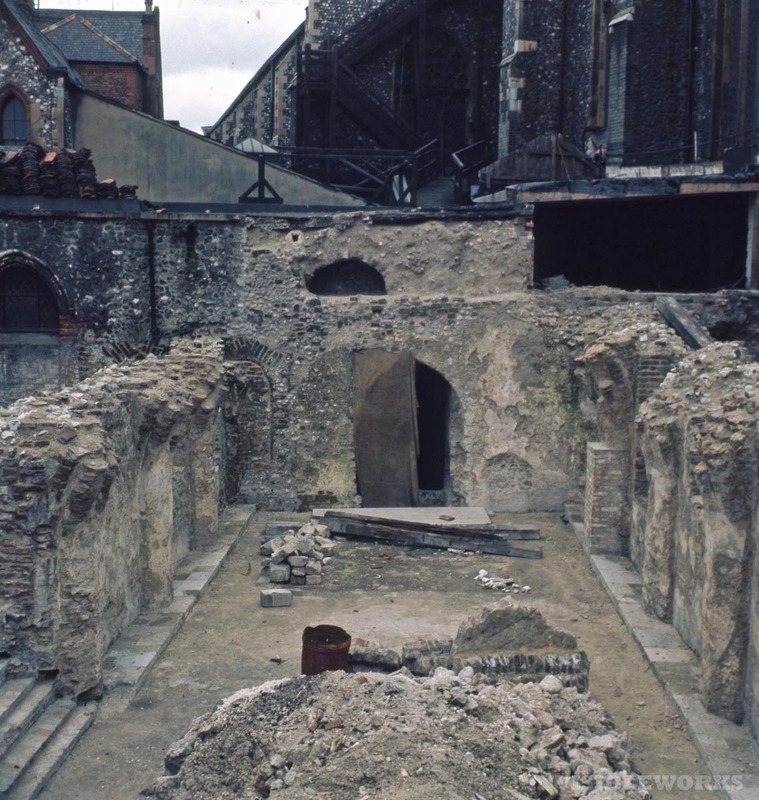 Beckett’s Chapel wasn’t infilled it was roofed over and used as an semi-outdoor seating area for the now defunct Crypt Cafe. Still there and still accessible as far as I am aware. Thanks for that, as indicated I assumed, the hallway to hell is wallpapered with assumptions. Apologies, will notate accordingly once I’ve physically checked it out. Ta. N.